Crowds flooded the street waiting for the clock to strike midnight 82 years ago. No, they weren’t waiting for a ball to drop or anticipating their carriage to turn back into a pumpkin. They were rejoicing the resumption of beer sales for the first time in 13 years! April 6, 1933, is a time to celebrate. It is the unofficial holiday deemed “New Beer’s Eve” marking the beginning of the end of the Prohibition era in the United States history. It was a dark time for Americans; they endured the Great Depression and couldn’t even legally get indulge on a tasty pint of beer to unwind. What would America be if there were no beer? Imagine Super Bowl without the Budweiser commercials or an Angels-Dodgers game without the overpriced $13 draft beer. Beer may not have started in America, but beer is truly part of the American’s pastime. President Franklin Delano Roosevelt put an end to prohibition and passed the Cullen-Harrison Act beer that legalized the sale of beer with alcohol content of 3.2 percent by weight rather than the . Five percent “near beer” Americans had to settle for. 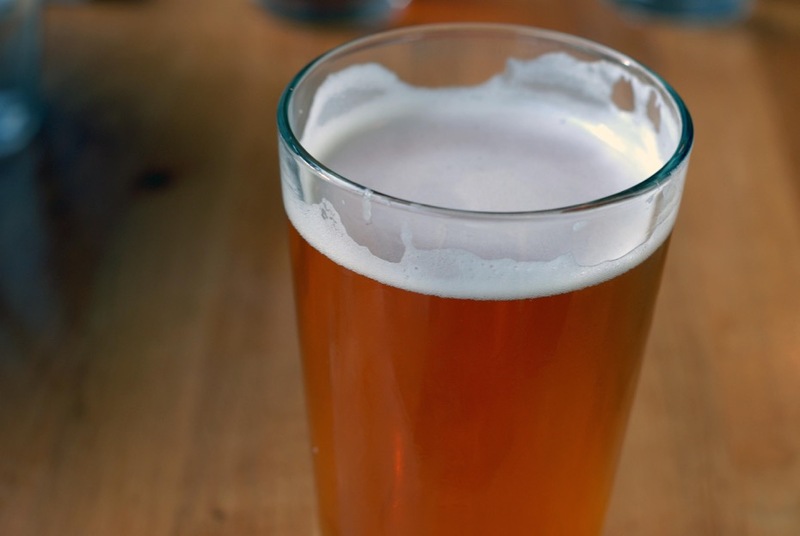 Beer resumed its sales legally on April 7th at 12:01 p.m.
Today, breweries are popping up faster than we can keep up and we finally exceed the amount of breweries since the pre-Prohibition era. To celebrate New Beer’s Eve and because Spring Break has passed and summer is here, get yourself to the Golden Nugget or the Outpost and pour yourself a beer just because you can! Then tomorrow go up on a Tuesday in honor of National Beer Day and time travel back to the 1920s at Joe Jost, located on East Anaheim St. It’s one of the longest running taverns in the West Coast that thrived as a speakeasy when it first opened in 1924 during Prohibition and quickly started serving beer once prohibition was repealed. Read more about this place here. Now, this Long Beach landmark keeps its reputation for having the coldest beers, the “Joe’s Special” sandwiches, house-made pickled eggs and being virtually unchanged since its speakeasy days. Once you’re done reliving the Roaring 20’s, head to one of America’s best craft breweries located on 3rd St downtown and see where the legalization of the sale of beer has gotten us over 80 years later. Beachwood BBQ and Brewing has won numerous medals for its beers and has even won “best large brewpub of the year” at last years Great American Beer Fest in Denver. Try their award-winning beers like the Hop Vader, a Black IPA that won a gold medal at the 2013 San Diego International Beer Competition, or the Kilgore, an American stout that won a Gold Medal at the 2013 Great American Beer Festival. Beachwood BBQ and Brewery happy Hour runs from 3 p.m. – 6 p.m. so you can get yourself some smothered steak fries with bacon to go with that pint for a sweet deal. We are truly living in the best time for beer so why not celebrate these unofficial holiday?